Funding for wpd’s Yunlin project is close to completion and the group of investors and banks will be finalised in a few weeks. The two processes of equity and debt financing run in parallel with the result that the funding package for Yunlin will be completed by the end of the year. At the end of April, wpd was awarded a total of one gigawatt by the Taiwanese Ministry of Trade and Industry for the implementation of the Yunlin and Guanyin offshore projects. The cost of both projects amounts to around 4 billion euros. 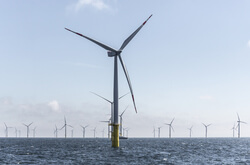 Yunlin is being constructed eight kilometers from the coast and comprises 80 turbines in the eight-megawatt class with a total installed capacity of 640 megawatt. The first half of the turbines will be commissioned by 2020 and the other half in 2021. A new £2million joint UK-China offshore wind research centre has opened in Yantai City, China, today.